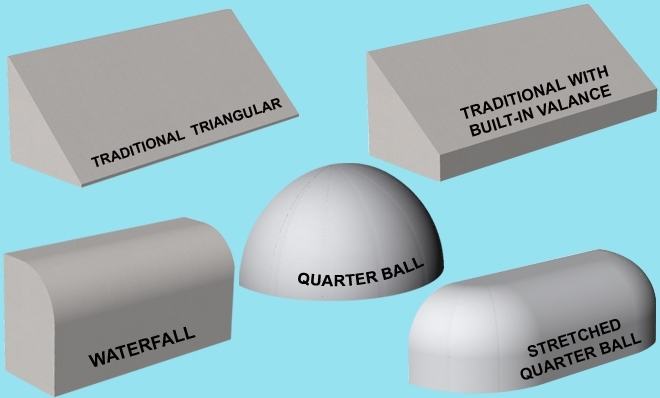 We offer a wide variety of stationary awnings (please see diagram above). 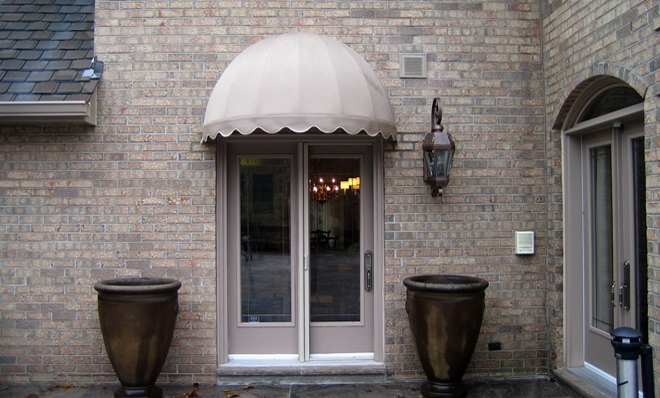 Stationary awning frames are welded using galvalume profiles. Fabric tops are made from a marine grade solution dyed acrylic fabric and stretched across the frame using lacing method. 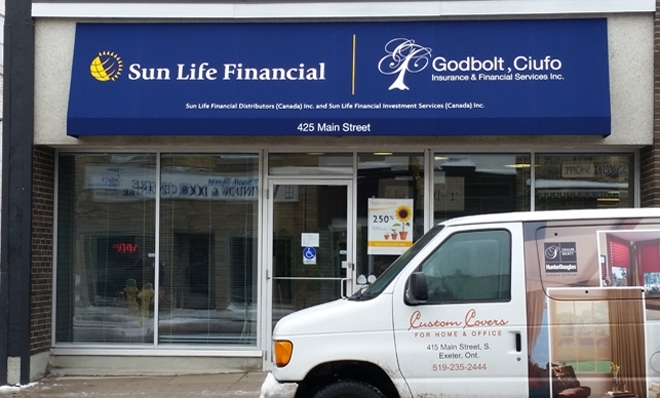 Each frame is made to measure. 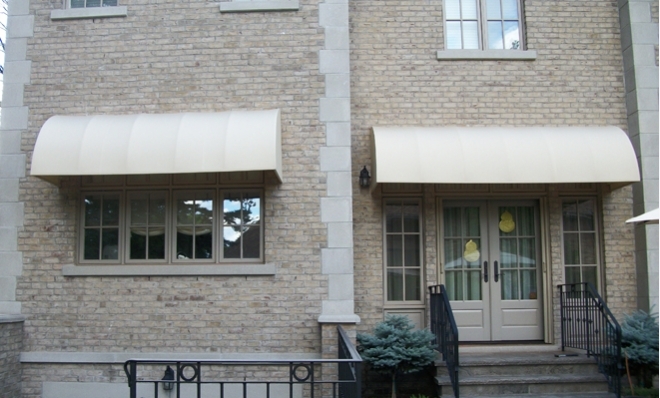 Stationary awnings are popular with businesses and some residential applications when customers are looking for year-round protection. 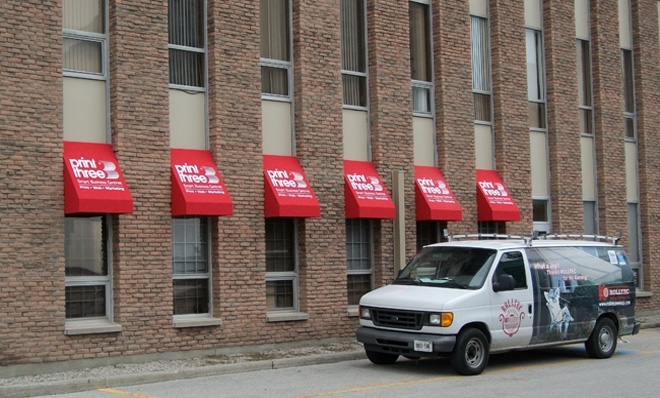 To make commercial awnings stand out, you can consider adding graphics. Our SGS machine can apply custom graphics (multicolour logos or plain text) to the acrylic fabric. This advanced heat transfer technology bonds thermal film and acrylic fabric together, resulting in brilliant images and long lasting performance.